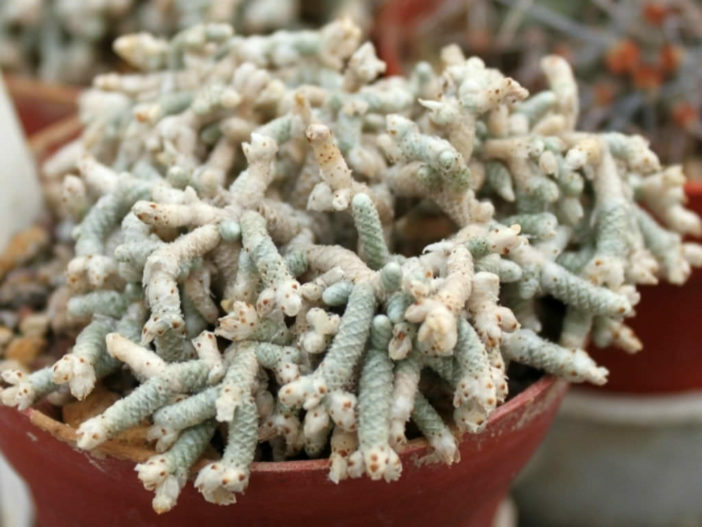 Avonia ustulata is a small, succulent shrub with tufted, silvery-grey, worm-like branches. 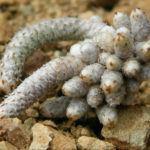 The primary branches are up to 1 inch (2.5 cm) long and densely covered with closely imbricated, silvery-grey papery scales. 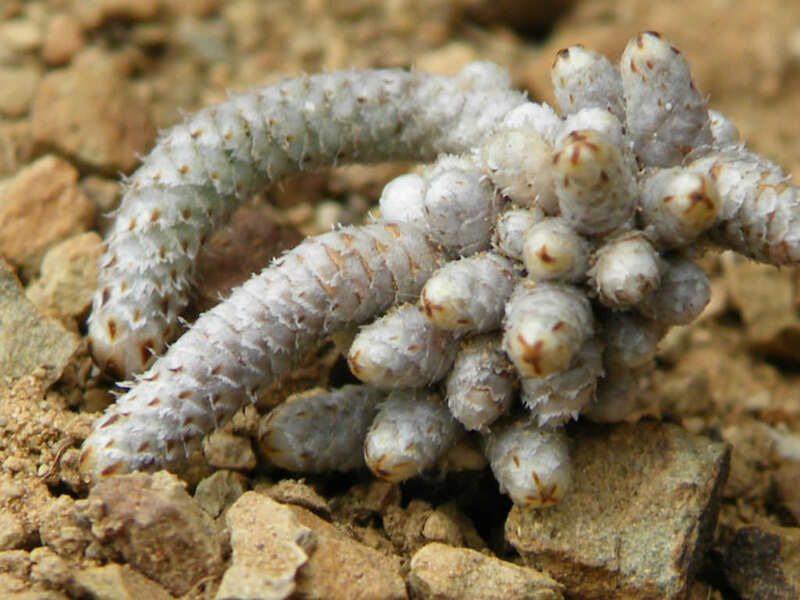 The sterile stems are bud-like, globular and ovoid or cylindrical and up to 0.16 inch (0.4 cm) long. 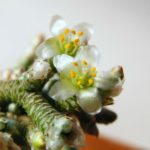 The fertile stems are up to 0.5 inch (1.2 cm) long, sometimes with one or a few similar branches. The true leaves are tiny and hidden by the papery scales. 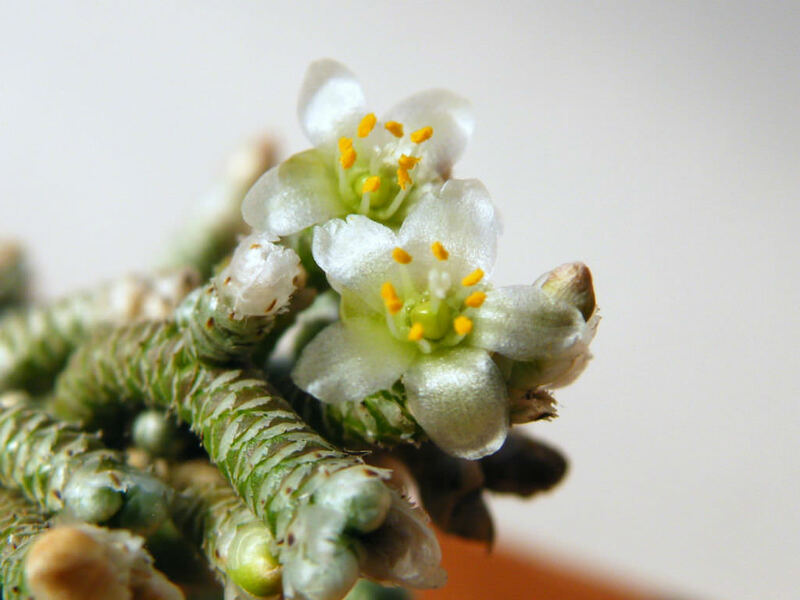 The flowers are small, pale cream and appear in summer. Although regarded as a choice and difficult plant, in cultivation it is relatively easy. 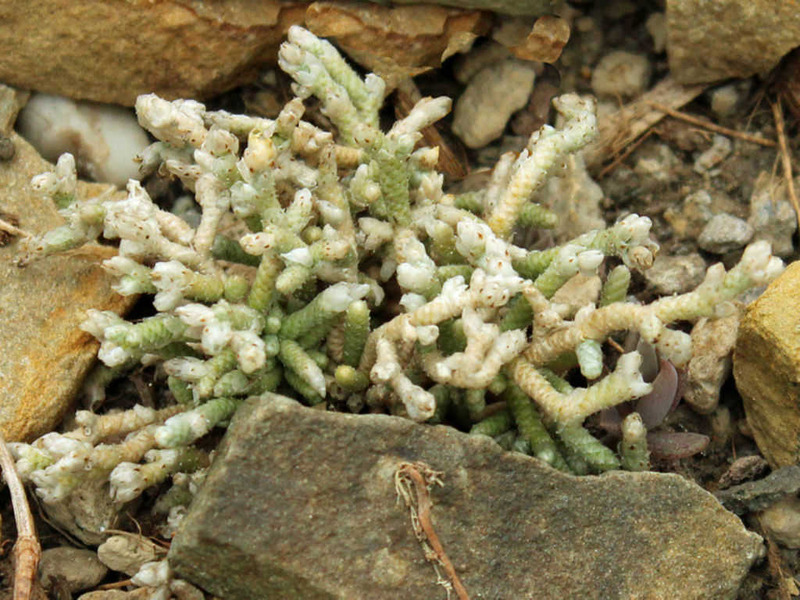 Avonia grow very slowly and requires careful cultivation. Clustering in cultivation, if grown correctly, it will reward the grower with generous displays of tiny flowers. Avonia grow well at moderate to cooler temperatures in partial sun. Bright light enhances leaf colors and makes for a compact plant. They enjoy a gritty free-draining soil with added organic material and low to moderate watering depending on the species. 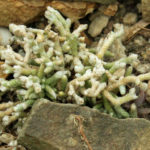 Avonia ustulata is native to South Africa.